3. If the Fresh Water Flake Ice Machine is air-cooled, it may be because the fan appliance is broken, the rotation is slower, so the heat dissipation effect is not good, resulting in slow ice making. If the time is long, the compressor may be burned out. 6. 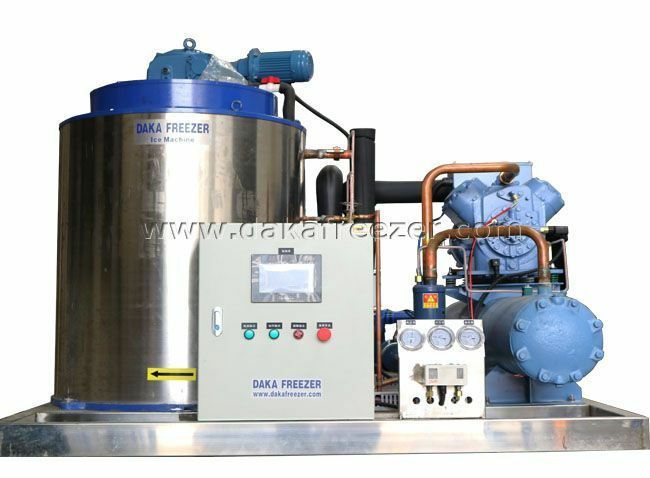 The working point of the Fresh Water Flake Ice Machine Supplier The ice machine should be placed in a place where ventilation is easy to dissipate. If it is stuck in the corner, it will seriously affect the performance of the ice machine.